– Allied unit: 3rd (GB) Inf. Div. 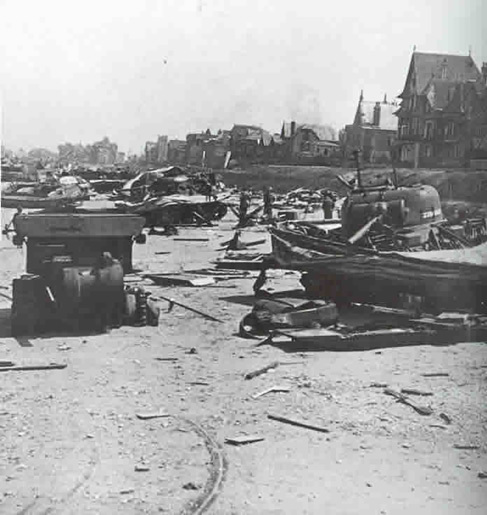 Sword Beach is one of three Anglo-Canadian landing areas. The area of Sword, east of Juno Beach, is located between the localities of Langrune-sur-Mer and Ouistreham. It represents the eastern flank of the Allied amphibious attack in Normandy. 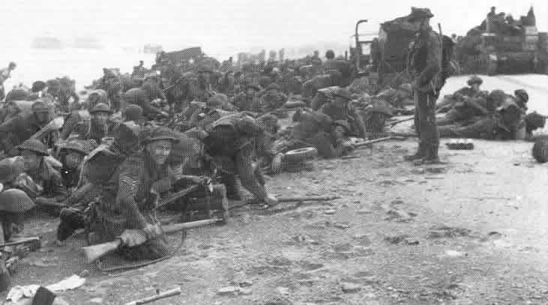 The British of the 8th Brigade (belonging to the 3rd Infantry Division) and the Commandos (numbers 4, 6, 8, 10, 41 and 45) of the 1st Special Service Brigade (including Commando No.4 with the 177 French marines, commanded by Commandant Kieffer) who will land on Sword Beach. These allied forces are under command of the 1st Corps, led by the British Lieutenant General John Crocker. The beach is divided into four main areas, from the west to the east: “Oboe”, “Peter”, “Queen” and “Roger”. Sword Beach is defended by the men of the 716th German Infantry Division, composed of 29 companies and armed with 500 machine guns, 50 mortars and 90 guns of various calibres. 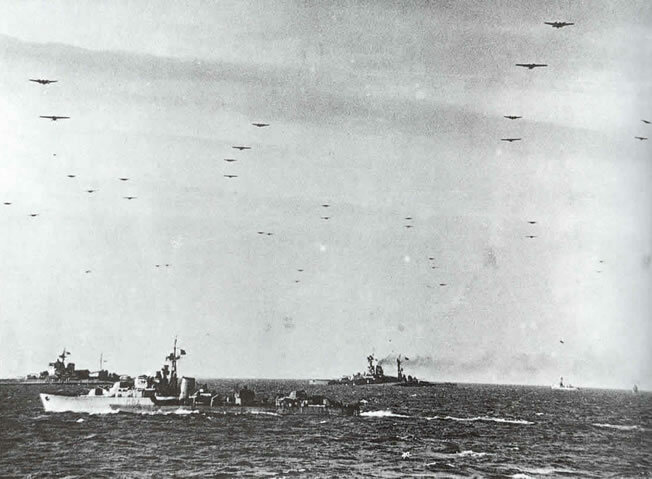 This assault is preceded, as on the other beaches of the invasion, by an aerial bombardment and then by a naval bombardment two hours before the beginning of the landing, which must begin at 7:25 am. 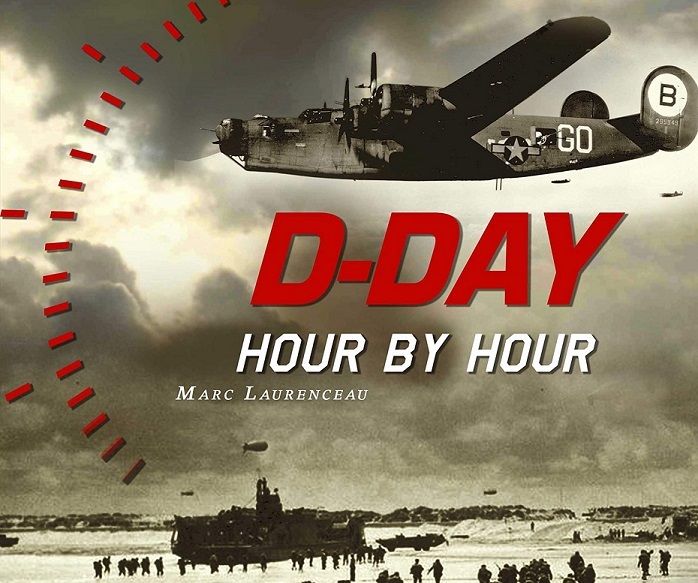 On Sword Beach, as on Gold and Juno, engineers are instructed to clear several accesses to the beach, 20 minutes before H-Hour, by removing elements from the beach defenses, in order to facilitate navigation of the landing craft. Special tanks, 25 in total, called “funnies”, are supposed to landing first, before the infantry. Despite a navigation made difficult because of a very strong swell, the boats reach the beach at the appointed time. German fires are numerous, and mortar shells explode near units, wounding or killing assailants. 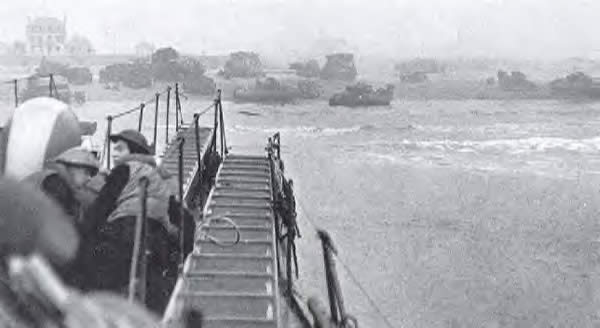 When the infantry begins to land, the tanks have already destroyed some German strongpoints, but the British face difficulties moving between the shore and the line of houses directly on the beach, both because of the defenders and of the beach defenses. The rising tide reduces the area of the beach, which is gradually being overwhelmed by various equipment, destroyed vehicles and human bodies. The assailants protect themselves behind the dune or the anti-tank wall along the road, regroup, cross the lines of barbed wire under the fire of the last German resistance points, still active on the beach, and invest the inland, supported by amphibious and “funnies” tanks. 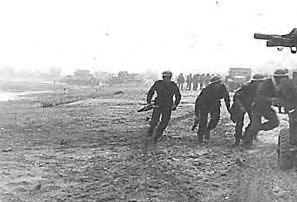 The landed troops, after having checked the various German strongpoints, seized the surrounding villages before continuing towards the town of Caen, which was to be under control on 6 June: around 9.30 am the British infantrymen of the 1st South Lancs penetrate Hermanville and encounter German pockets of resistance. It is only around noon that the beach is cleaned of its obstructions and that enough breaches are opened to allow the reinforcements to access the inland. 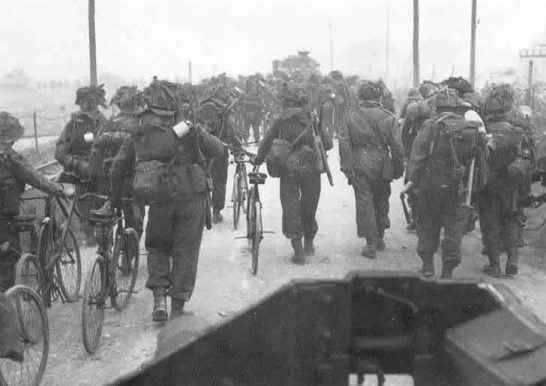 Troops of the first assault accelerate towards the interior: Ouistreham and its famous casino (which does not resemble in any way the image given in the The Longest Day movie) are under control in the morning, but a fort in the city resists the French-British attacks. The place was under control only three days later. The Germans are disorganized and, for the most part, oppose very little resistance to the landed forces. French and British troops, heading south, are slowed down by snipers, who are camouflaged in individual holes along the roads. 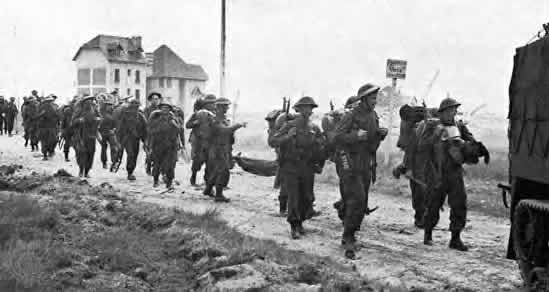 Lord Lovat joined the airlanding troops of the 6th British Airborne Division to the bridges at Bénouville (Pegasus Bridge) and Ranville, which he reached at noon. At the end of the day, the 3rd British Infantry Division had nearly 630 casualties. 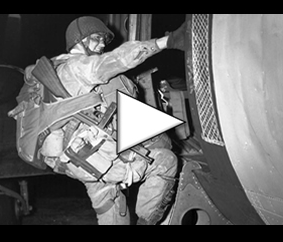 28,845 men and 2,603 vehicles belonging to this same division had landed in Normandy on June 6 at midnight. 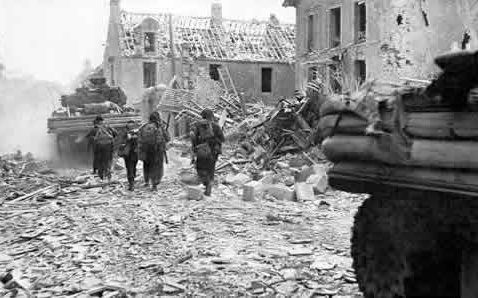 On the evening of June 6, 1944, the British had a bridgehead about 8 kilometers deep to the west of the Orne river, as far as the village of Biéville-sur-Orne, only 5 kilometers from Caen. To the east of the Orne, various German resistance points are opposed to the paratroopers of the 6th Airborne Division, south of Franceville and around the village of Varaville. The landed troops made their junction with the airborne division. They crossed the two bridges captured in the early hours of June 6 by the men of Major John Howard to establish defensive positions south of the village of Ranville to the western limits of the forest of Bavent. 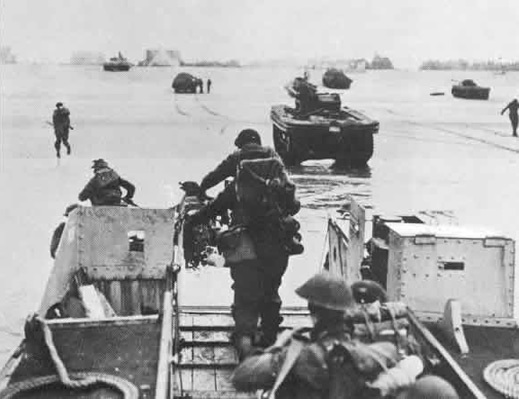 The junction with the Canadian troops landed at Juno Beach is not yet carried out by Commandos numbers 8 and 41 who are still fighting in Lion-sur-Mer. With the capture of the city of Caen, the realization of this junction will be one of the major objectives for the British troops in order to protect the newly installed bridgehead to ensure the continuation of the allied invasion of Normandy.